November 11th, Remembrance Day, is a few short days away. 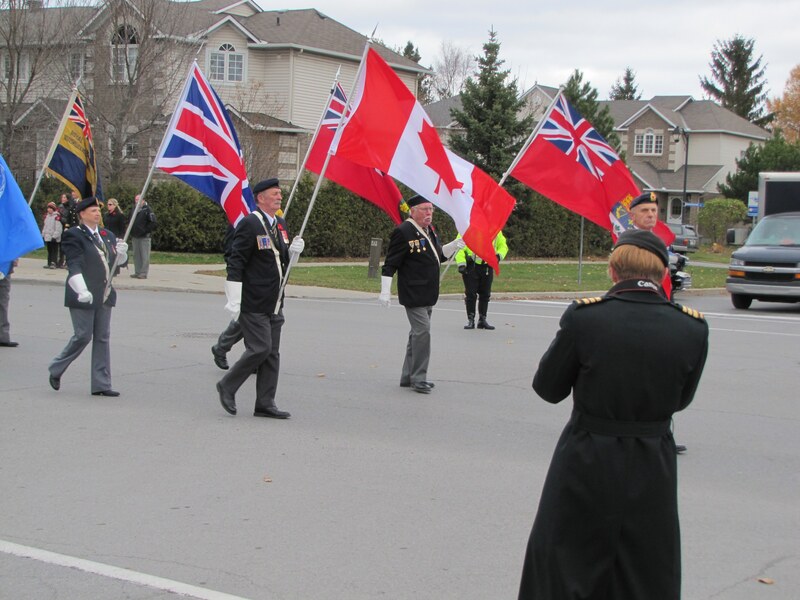 In Stittsville we will all, hopefully, remember our veterans quietly at the 11th hour, and then head out to witness our community event, from 1:45 p.m. to 2:45 p.m. 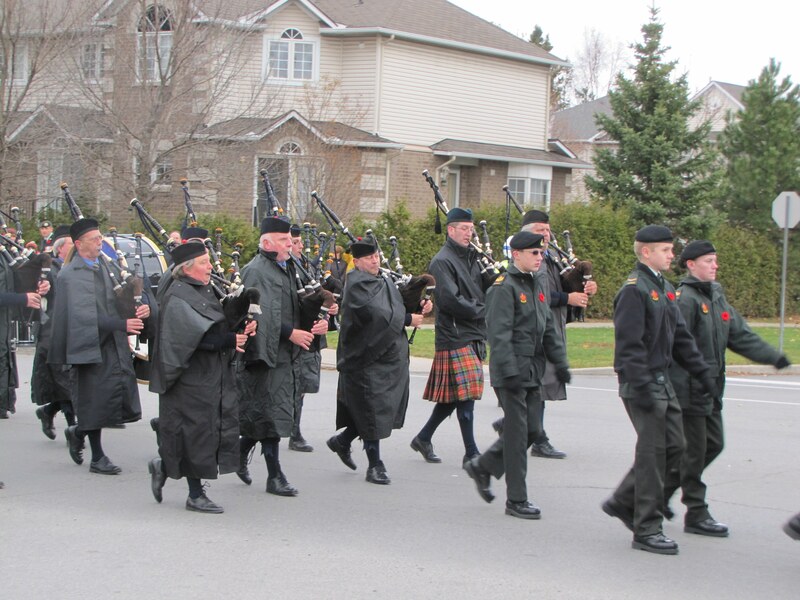 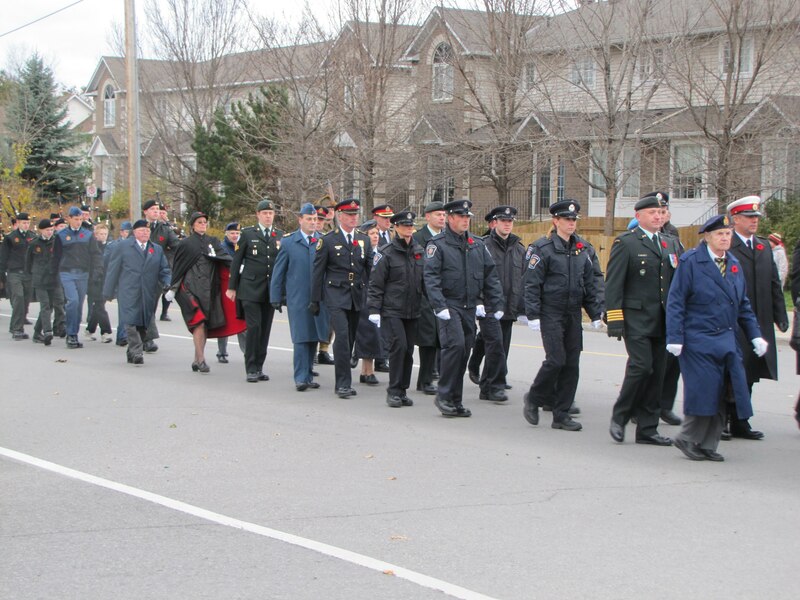 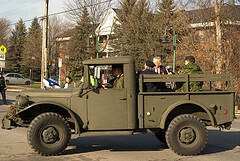 The Remembrance Day Parade begins at the Royal Canadian Legion, Stittsville and District Branch 618, at 1480 Stittsville Main Street and heads north on Stittsville Main Street to Warner-Colpitts Lane, and west on Warner-Colpitts Lane ending at the Stittsville Cenotaph for the ceremonial service. 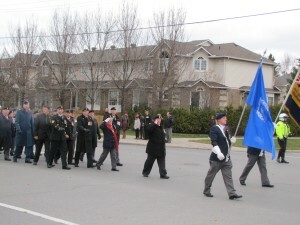 After the service and laying of wreaths, the parade then returns to the Legion. 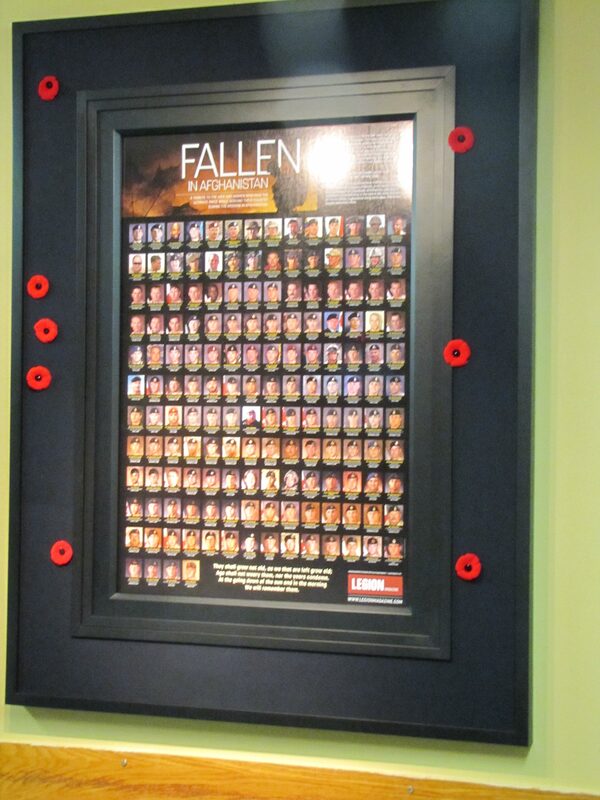 Two years ago, in 2011, Walkerworks was asked by the Legion to create a special tribute to our Canadian Soldiers fallen in Afghanistan. 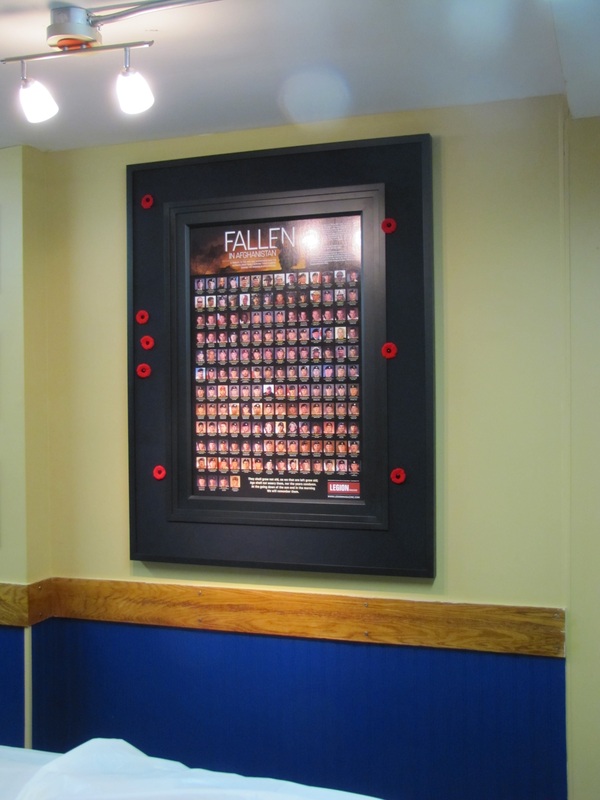 The piece would hang in a certain place in the building all year and then on November 11th, it would be joined with its special outer frame and hung in a position of honour for the day. 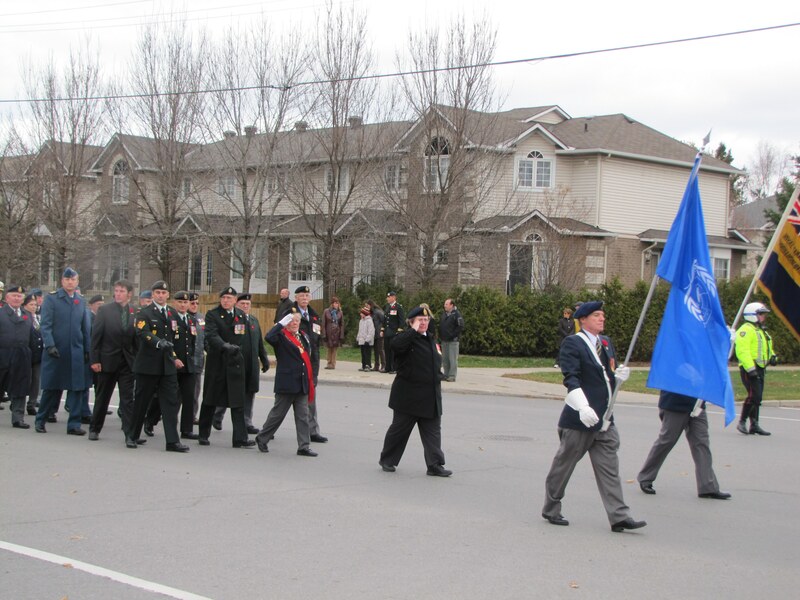 The idea was that everyone returning to the Legion after the Remembrance Day service would pay their respects and leave their poppy on the outside frame. Jimmy took this idea and make it a reality. 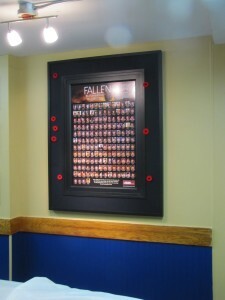 The photograph montage of all the fallen soldiers in Afghanistan is mounted and framed in a double stacked moulding. 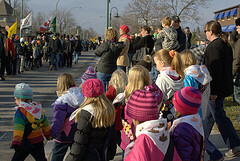 This is the way it hangs for most of the year. 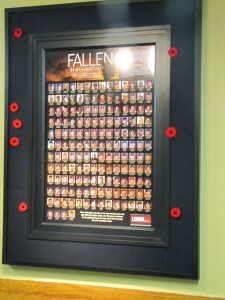 The outer frame, which is easily attached for Remembrance Day, is designed to fit overtop of the first and has an expanse of black material covering extra thick foam core that easily allows the poppies to be pinned into it. 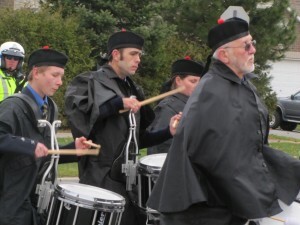 These photographs were taken just after we arrived at the Legion, back in 2011. 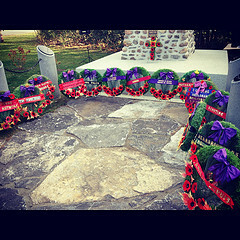 This year I hope to see what it looks like after we’ve all left our poppies. 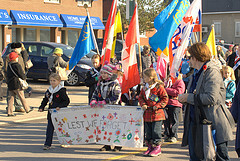 Perhaps this year, your poppy will be amoung them.